Last week I shared a couple of videos of the paintings of Edward Hopper set to music. 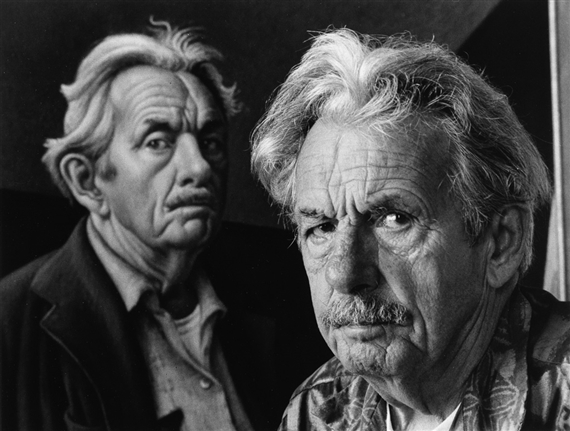 I thought that I’d do the same this week for the work of another of my favorites, the great American Regionalist painter Thomas Hart Benton. 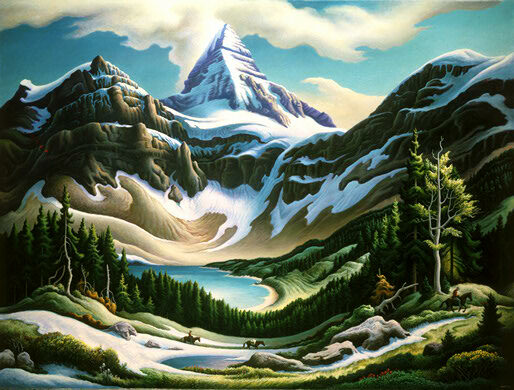 I’ve always loved the rhythm and movement of the elements in Benton’s paintings, in even his most remote landscapes. They seem to be filled with potential energy and the landscape becomes a living, breathing figurative element in his work. That is a trait that I try to emulate in my own work. 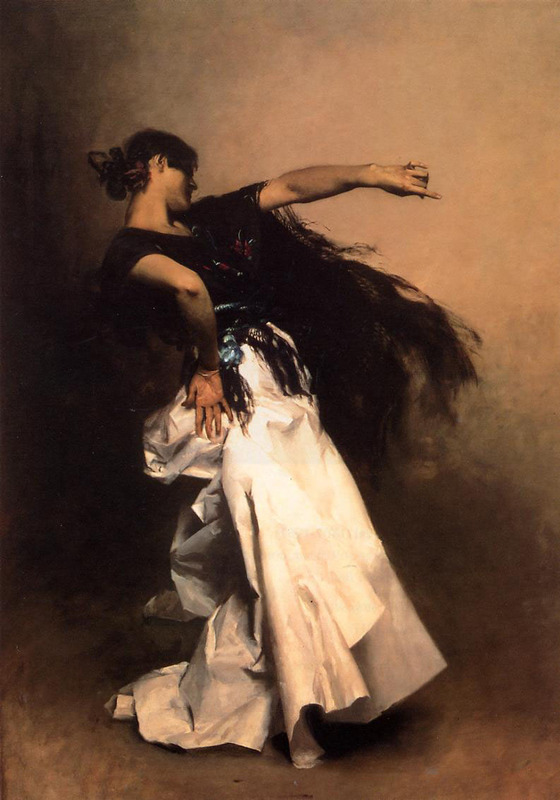 This video features his paintings set to the music of late American composer Walter Piston‘s Symphony #6, Movement #4 as performed by the St. Louis Symphony Orchestra as directed by Leonard Slatkin. It has that sound of youth, motion, and energy that is often associated with America in the late 19th/early 20th century. Plus it has Benton’s work. Back in June, I wrote about going to the Smithsonian’s American Art Museum to see the painting shown above, Achelous and Hercules, a wondrous mural from the great American painter Thomas Hart Benton. It was commissioned to hang in a now-defunct Kansas City department store in 1947 and after the store closed in 1984 this masterpiece was given to the Smithsonian. 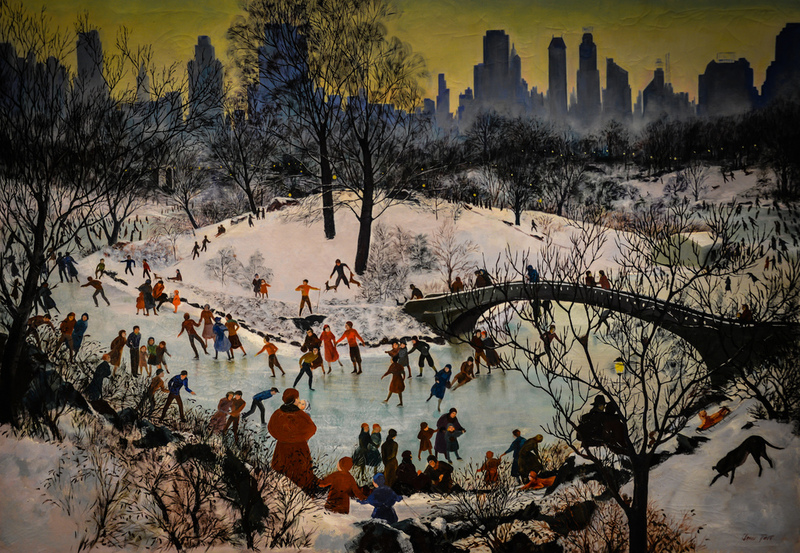 It is a 5′ high and 22′ wide wooden panel that Benton painted in egg tempera. It’s a piece I could stand in front of for hours, losing myself in the rhythms and colors. That being said, I came across a video taken from an old film that shows the incredibly elaborate process that Benton used in the making of this mural, which took about eight months. It is fascinating and unusual to see a known masterpiece coming together in all its stages. It makes me appreciate this painting even more. This coming Saturday, August 1, I will be giving a Gallery Talk at the West End Gallery in support of my current show, Home+Land, that is hanging there. It starts at 1 PM and, as many of you who regularly read this blog will know, ends with a drawing where one person in attendance will take home a painting of mine. It’s something I’ve done for several years now at my Gallery Talks and is something that really gives me great pleasure. I’ve always felt so fortunate to have found my current life as a painter that this allows me to express my gratitude in a tangible way. As a result, I try to carefully choose the works that I give away, not wanting to just go the far corner of the closet where I hide those early experiments that make me grimace to look at them now. No, I want to give away paintings where I feel a pang of loss in giving them away, want them to have some sort of meaning for me so that this is not just an empty gesture. 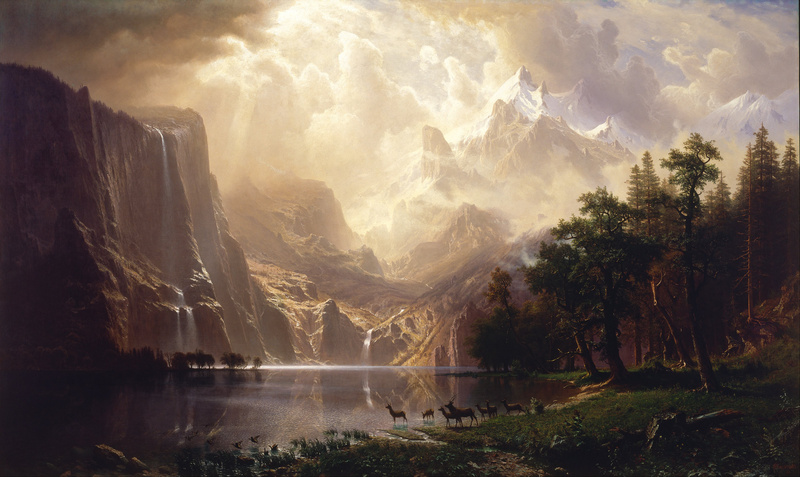 So, for this Saturday’s drawing, I have chosen the painting shown above. 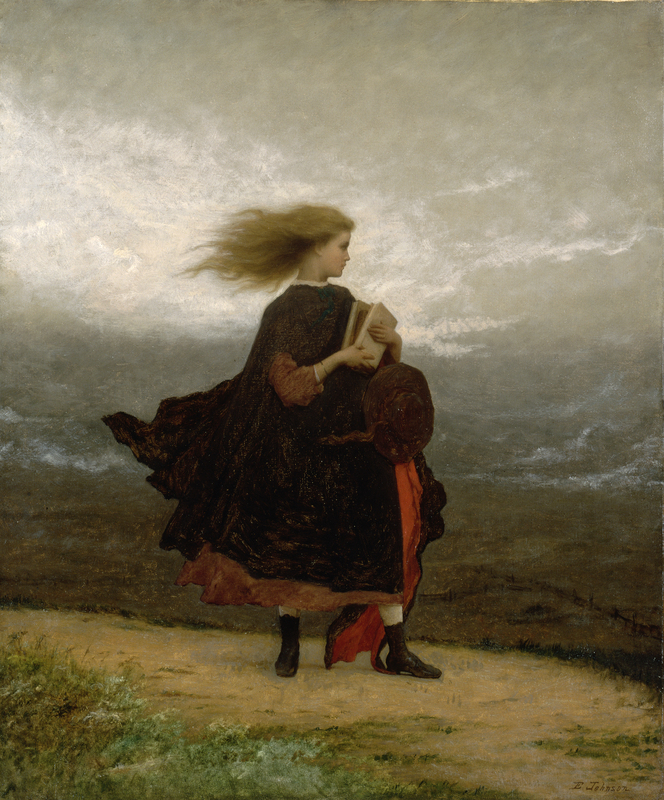 It’s called Destiny Bound and is a 16″ by 20″ canvas so it has the size to give it a real presence. It’s a painting that was only shown publicly once for a very short time before I brought it back to the studio. 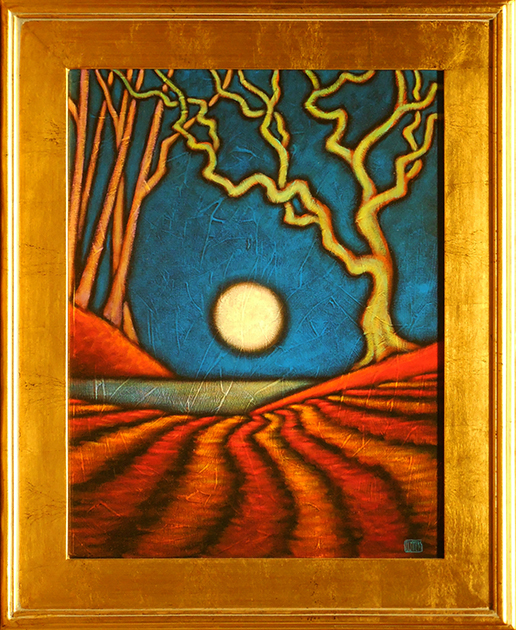 It is sort of an anomaly in my body of work in the way it is framed, using a gold-leafed plein air frame rather than my signature frame. I tried this frame style for a handful of pieces several years ago and decided that I wanted to stay solely with the continuity of my normal frames. This is the one painting that remains in a gold frame and I chose to keep it as I’ve just become used to seeing it that way. So, even though it has a unique overall appearance for my work, the painting itself is what I consider a great example of what has been called my Dark Work, work that first appeared in the months after 9/11 but has evolved over the years. I am really attracted to overall presence of this painting and the deep colors and line work as well. And the expressiveness of the tree on the right. That tree has always felt like it pays tribute in some way to Thomas Hart Benton with its curves and lines. While it reminds me of some his figures or trees, off the top of my head I can’t cite a particular painting of his that might feature such a tree or figure. But that connection and the way the tree seems animated jumps out at me whenever I look at this piece. I just plain like this painting. And I am giving it away on Saturday. So, stop in at the West End Gallery on Saturday for what I hope will be an entertaining talk and maybe you can take Destiny Bound home with you. The talk starts at 1 PM and generally lasts about an hour. Hope to see you there. One of the great things about going down to the DC area is being able to take advantage of the great museums that are part of the Smithsonian Institution. The nineteen museums that make up what has been called America’s Attic ( I prefer America’s Treasure Chest) see more than 30 million visitors come through their doors each year, all admitted free of charge, to see an incredible collection of art and artifacts. This year, in the afternoon before the opening of my show, we made our way to the American Art Museum which is downtown, several blocks off the Capital Mall. It’s a wonderful collection of American art that runs the gamut from the grandness of Hudson River landscapes to the rawer but no less powerful beauty of folk art. There are examples to suit every taste and all are exceptional. 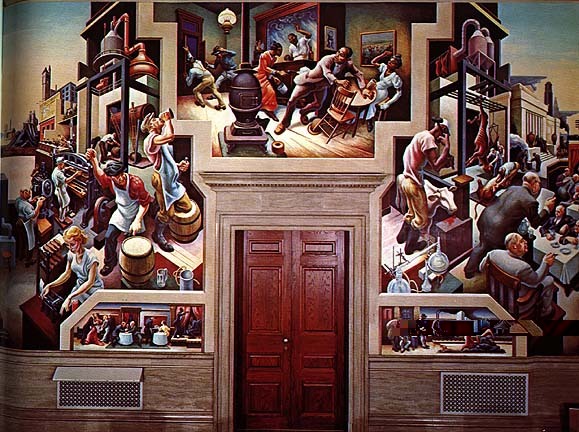 I was there primarily to see the great mural, about 5′ by 22′ in size, shown at the top, Achelous and Hercules from Thomas Hart Benton. Because of the museum’s location away from the Mall, the crowds are sparser and it was a thrill to be able to stand alone in front of this grand painting without to have to constantly look around other people. Just an inspiring piece to see. There is so much more to take in that our short time there barely scratched the surface. If you get the chance to get to the DC area, definitely take the time to visit this museum and the others that make up the Smithsonian. However you feel about the role of government, I think you will be proud of the collection that has been assembled in the name of the American people. One of the books in my to-read pile that is more of a tower now is one called Tom and Jack from writer Henry Adams. It details the long relationship between Thomas Hart Benton and Jackson Pollock, two painters seemingly worlds apart– Pollock known for his vibrant abstracted drip paintings and Benton for his distinct but more objective view of the American landscape. But Benton was a mentor, teacher and surrogate father for Pollock and many of his lessons found form in Pollock’s work, particularly the ability to create a rhythm in each painting. Both were masters of the graceful organic rhythms that run through their works. One of the things I often do when looking at the work of other artists is to do a Google image search for that artist. Seeing the work grouped together, as you can see in the images at the top and bottom of the page, allows me to quickly take in the overall tone and feel, to get an idea of the general fingerprint of that artist. At the top is a screenshot of Benton’s landscapes and the thing that immediately jumps out at me is the beautiful organic roll of the landscape that creates a rhythm that instantly draws me in. One of the paintings from the Benton page is shown here on the left, The Trail Riders, and is a great example of this rhythm. It creates a sense of movement and gives the forms of the landscape an almost human quality in its curves and rolls which makes it seem familiar. Part of us, who we are. 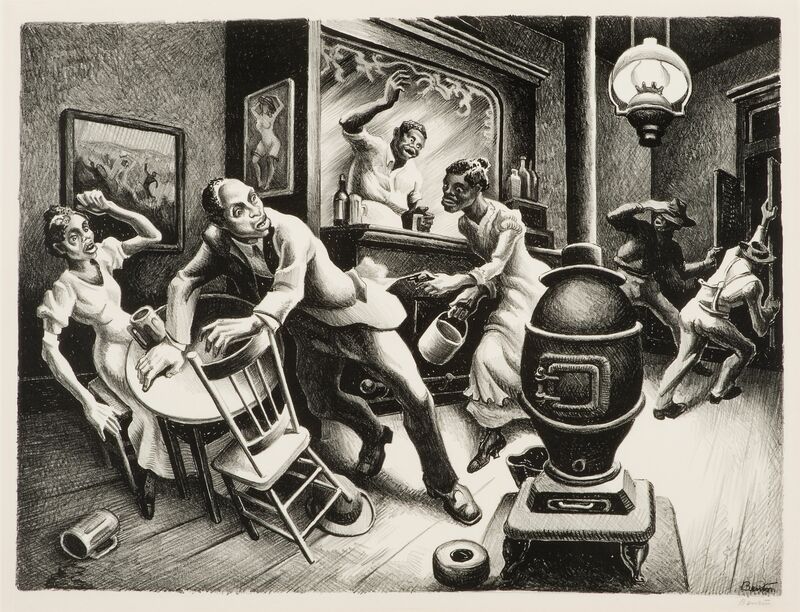 For me, that rhythm in Benton’s work was a revelation. The landscape became something more that a static backdrop. It was alive and breathing and moving, very often the central character in the work. And I knew that was what I wanted in my own work, just as I believe Pollock observed it and wanted for his own work. And he found a way to take that rhythm and create his own living landscape through his distinct visual vocabulary. Much different than Benton but built on the same underlying energies. Seeing both their works is really motivating for me, making me chomp at the bit this morning. Each spurs me in many directions, but always fast and forward moving.